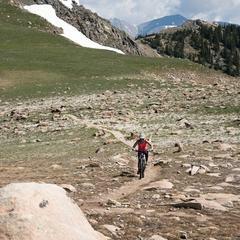 Rider Kris Plemmons, Monarch Crest Trail Section. 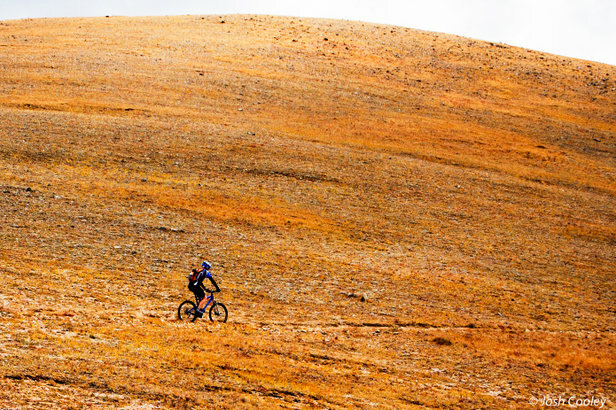 Mountain bikers who crave thrilling cross-country endurance rides should make Monarch Crest in Colorado's southern Sawatch Range a top priority. This is XC mountain biking at its finest. 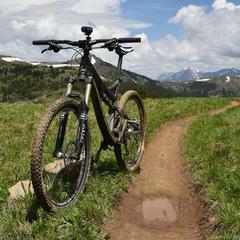 This ride is hyped for a reason and has it all: idyllic above tree line singletrack, high-alpine panoramas, wildflowers galore, lush subalpine Evergreen and Aspen forests, pristine mountain streams, wildlife, solitude and thousands of feet of (mostly) non-technical downhill riding. The trailhead and drop off location for shuttle vehicles is located on Monarch Pass (elevation 11,312 feet) straddling the Continental Divide 18 miles west of Poncha Springs on Hwy 50. Ascend the dirt road behind the tram building and merge right onto the Monarch Crest Trail at the trail marker. 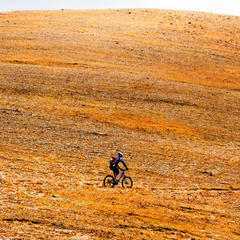 Enjoy flowing singletrack in the woods then climb for a bit. La crème de la crème of mountain biking soon follows—12 miles of continuous fluid singletrack at elevations between 11-12,000 feet with glorious vistas of numerous Rocky Mountain ranges and peaks. Savor it. 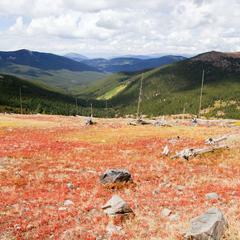 The Monarch Crest Trail segment culminates at Marshall Pass (elevation 10,840 feet). Ride another 5 miles on a section of the CDT/CT with a mix of ascent/descent on singletrack and fire road below tree line. Next is the intense 7-mile Silver Creek Trail descent combining smooth singletrack, switchbacks, steep loose rock/scree sections and a short section within Silver Creek after a bridge crossing. Following the Silver Creek descent are 9 miles of demanding but exhilarating rolling singletrack on the renowned Rainbow Trail—a standalone mini-epic ride with short tough climbs and flowing ribbons of singletrack. Emerge on Hwy 285 and let gravity pull you into Poncha Springs 5 miles later with a huge grin. 1. Monarch Crest is not a beginner/intermediate ride. 2. Lightning, rain, hail, wind, heat, cold, mud and snow are all possible. Start early. Thunderstorms can hit anytime though are more likely after noon. 3. Pre-tune/lube your bike—broken components in the backcountry could be disastrous. 4. County Roads 203 and 201 are good exit routes in case of fatigue or weather. Some trail markers are vague, so attentiveness is required. Park one vehicle at the Monarch Pass trailhead and one in Poncha Springs. Shuttle services include High Valley Bike Shuttle (Poncha Springs), Absolute Bikes (Salida) and Mountain Nomads (Breckenridge). Reservations are recommended. Absolute Bikes also offers guided rides. 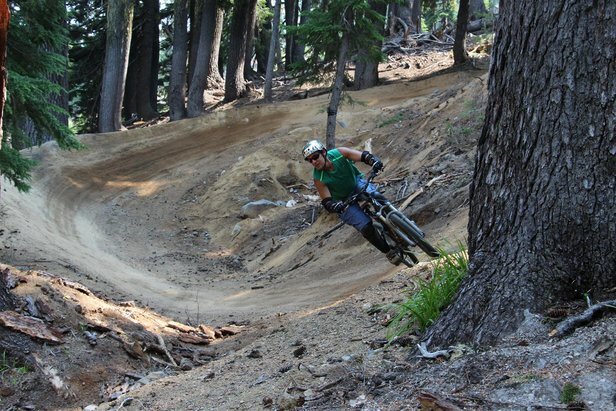 Check out our 2015 roundup of new downhill mountain biking adventures at lift-accessed resorts in the West.